Michaels Party Rentals » Blog Archive » Up, Up and Away! 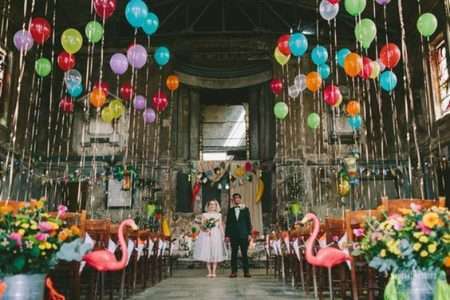 Balloons are no longer just for kids birthday parties but they’re for weddings too! Don’t believe us? 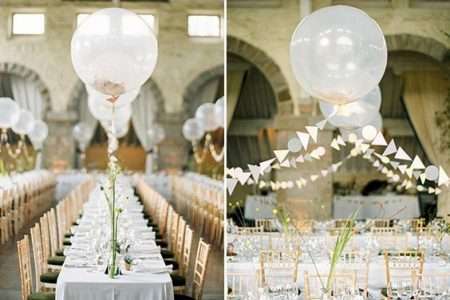 The Bridal Guide released an article with 50 creative ways to incorporate balloons into your special day and we love every one of them! Having a first look? Consider using a bouquet of balloons for your big reveal! 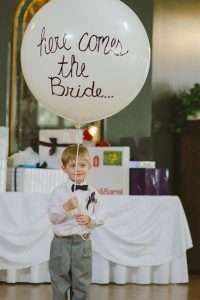 We’ve all seen the wooden signs that the ring bearer and flower girls hold but why not use a balloon? They’re way lighter and kids love them! Does your ceremony location have high ceilings? If some balloons are an easy way to add some depth and a pop of color! Post ceremony photos anyone? We’re obsessed with how simple yet gorgeous this photo is! Geometric shapes are trending right now and why not incorporate them into your wedding like this couple did! 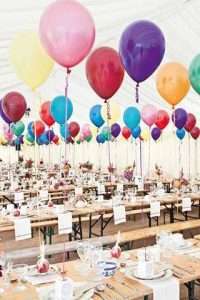 If you’re looking to add a splash of color within your white tent, balloons are the answer! You don’t even need flowers on the tables! 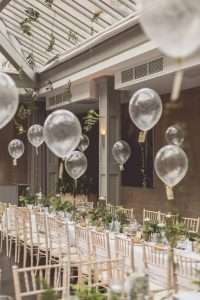 There’s something magical about the floating clear balloons and greenery that this couple used at there reception! If you want to recreate any of these looks at your wedding, give us a call and reserve a helium tank today!